​A recently-released script for the final episode of '​Game of Thrones' Season 7 has potentially revealed the fate of a few key characters whose state was left ambiguous in the finale. 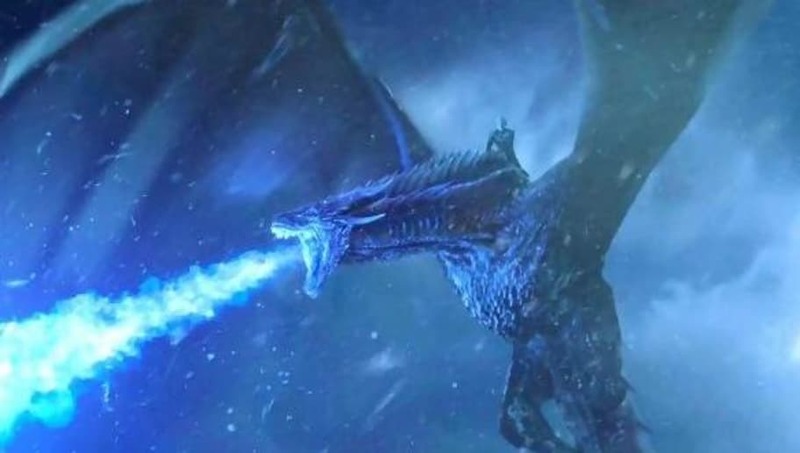 Fans will remember that the final scene of the season featured the Night King breaking through the Wall at Eastwatch and leading his army of undead ice zombies to war with the seven kingdoms of the south. In the sequence, the ginger Wildling Tormund and leader of the Brotherhood Without Banners Beric disappear beneath a falling block of ice. The episode, "The Dragon and The Wolf," is nominated for an ​Emmy, so it's script became available for review on Monday. The script clarifies the scene, stating "Tormund and Beric lead their wildling comrades to the stairs carved in the ice — Eastwatch has a massive zig-zag stairway, not an elevator like Castle Black. They run for their lives and disappear from view." Seeing as how the script didn't explicitly say they were crushed and that they were running for their lives, it would appear as if the two managed to escape the claws of death once more. While the show has killed characters off-screen before, the series is more famous for its heart-wrenching and brutal death scenes. While it seems likely both characters will return for Season 8, it is unclear if either man will make it through the series alive.